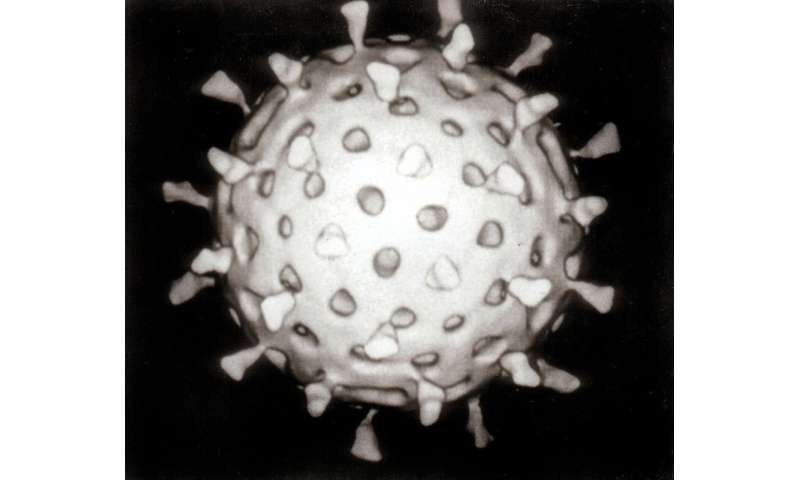 Climate in the tropics has a larger influence on transmission of the sometime deadly rotavirus than previously shown, University of Michigan researchers have found. "Our research shows water can both disseminate rotavirus between communities and amplify within-community transmission cycles," said Alicia Kraay, research fellow in epidemiology at the U-M School of Public Health and first author of a study appearing in Proceedings of the National Academy of Sciences. While the association between temperature and the presence of rotavirus in water was known prior to the team's systematic review and meta-analysis, the extent of water-borne transmission was less clear. "There are other transmission pathways that can be influenced by seasonal changes," Kraay said. "For example, rotavirus can also be transmitted through contact with contaminated surfaces and the amount of time that rotavirus can survive on these surfaces depends on both temperature and humidity. "So, even though we knew incidence varied with temperature, we were not sure waterborne transmission was part of the reason why. Our results helped explain why we see these associations in the literature." "Our study provides mechanistic understanding of the potential role that temperature plays in rotavirus waterborne transmission in the tropics and has implications for climate change," said Joseph Eisenberg, senior author of the study and chair of the School of Public Health's Department of Epidemiology. "These results emphasize the importance of wastewater treatment. Currently, billions of people globally (largely in the tropics) are exposed to polluted waters due to the lack of sufficiently treating wastewater." There is a vaccine for the disease but it's not readily available to those in many countries in the tropics. "Our results also suggest that clean water alone will not be enough to stop transmission because rotavirus can spread in other ways," Kraay said. "One intervention that can impact all of these pathways is rotavirus vaccination, which has been shown to be highly effective in a variety of contexts."